I will end this report with a clear example of the criminal misinformation indulged in by the British press. Not having lived in the US, I have no idea of how the media deals with the matter of vaccines, but I fear that most North Americans can have no understanding of the unmitigated rottenness of the British Media, and without such an understanding they might find it hard to grasp how this tidal wave has crashed down upon Dr Wakefield. A report appeared this morning in the Mirror newspaper, a vaguely Labour leading tabloid, quoting Dr Miriam Stoppard who is a septuagenarian columnist in the paper. Stoppard has campaigned against alternative medicine, in favour of Hormone Replacement Therapy and in favour of MMR, in everything from the most immature teen girl's magazines to the Mirror newspaper. On Friday morning, previous writing of hers was repeated in the Mirror newspaper. Stoppard is just one of the many medical hacks that keep the wheels of vested interest turning inside the UK pharma-soaked media, but I think for reader world wide a brief look at the inanity on the morrow of the verdict against Andrew Wakefield, Professor Murch and Professor Walker-Smith might help readers outside the UK understand how the GMC is presently getting away with its lamentable corruption. 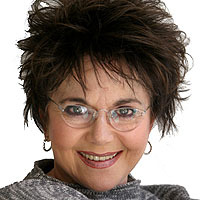 Miriam Stoppard writes an agony aunt column for the Daily Mirror Newspaper. She has a company, Miriam Stoppard Lifetime through which she sells her books and health products. After training as a doctor she began working for the drug company Syntex and eventually becoming one of the companies a managing directors. In 1997, she married Sir Christopher Hogg, who until 2004 had been Chairman of GlaxoSmith Kline, the vaccine manufacturer. Here are Miriam Stoppard's remarks on Dr Wakefield's work, read on Friday morning by thousands of Mirror readers. Knowing the MMR was probably one of the most highly tested vaccinations ever, I was shocked by Andrew Wakefield's words in 1998. I looked at his paper and I found it was very badly researched with lots of holes. It certainly didn't constitute any kind of cause or relationship between the MMR vaccine and the appearance of autism. I was astonished it was even published. Shortly after, I wrote a big piece for the Mirror about how it was flawed and irresponsible. I tried to reassure parents it didn't show a connection between MMR and autism, the jab was safe and they should vaccinate their kids. However, a lot of the media came out and emphasised the autism connection and my attempts at reassurance were ineffective. Parents were driven towards single vaccines. But single vaccinations aren't licensed in this country so we don't even know if they're safe or effective. And while you're giving children single vaccinations, they're not protected against the other illnesses. So there is absolutely no reason, science or logic in using them. And the argument that the MMR overloads a baby's immune system is rubbish. It can take more than 10,000 doses of the MMR vaccination and not turn a hair. Wakefield and his bad research have an awful lot to answer for'. MMR was probably one of the most highly tested vaccinations ever - not true. I was shocked by Andrew Wakefield's words in 1998 - which words? I looked at his paper and I found it was very badly researched with lots of holes - evidence? It certainly didn't constitute any kind of cause or relationship between the MMR vaccine and the appearance of autism - the paper didn't claim to show any causal link between MMR and autism - how did you read it and miss this? I was astonished it was even published - Thank God you're not the editor of a medical journal. Shortly after, I wrote a big piece for the Mirror about how it was flawed and irresponsible - How much were you paid for this article. Did you declare any conflict of interest? I tried to reassure parents it didn't show a connection between MMR and autism, the jab was safe and they should vaccinate their kids - The paper didn't claim to show any connection between MMR and autism, however to assure parents without any evidence to the contrary is a disgusting abdication of medical responsibility, do you still have your doctors practice certificate?